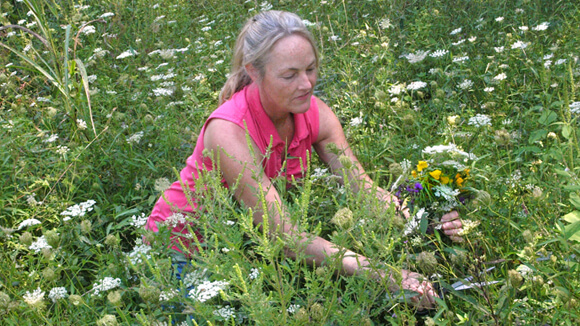 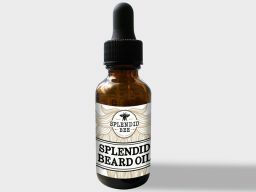 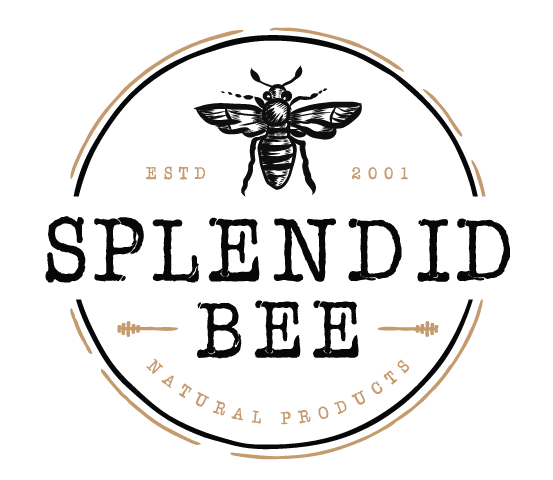 Splendid Bee Soap is made according to a centuries-old process called the “cold process”. 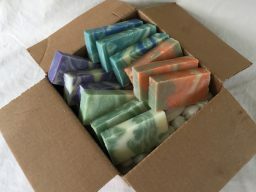 All Splendid Bee Soaps are made in small batches of 108 bars, formed in wooden molds, and cut by hand before they are “cured” for 6 to 8 weeks. 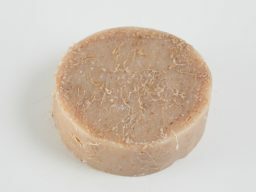 “Curing” is similar to aging wine or bourbon. 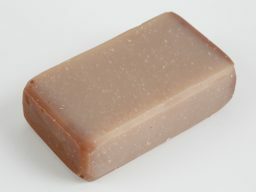 Fresh soap needs to be given time to mellow as the pH comes closer to neutral and it loses its water content which promotes longevity. 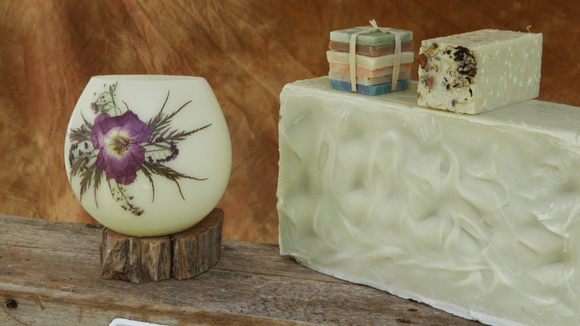 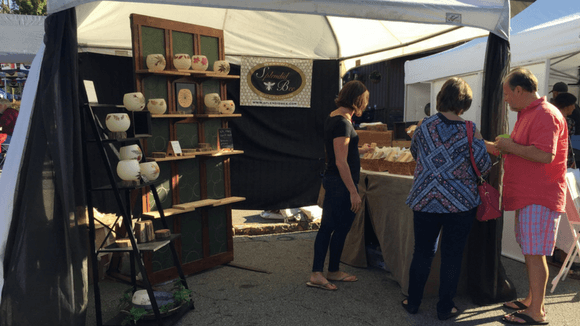 The older the soap is… the better! 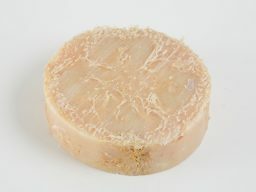 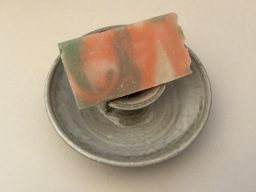 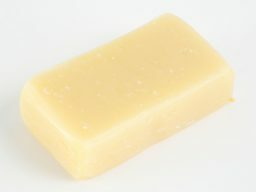 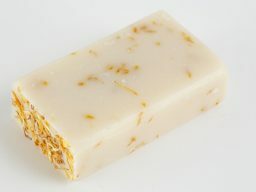 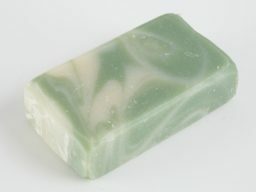 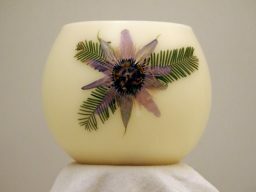 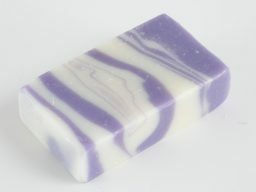 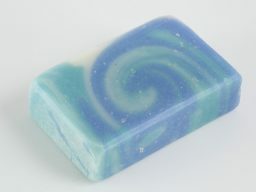 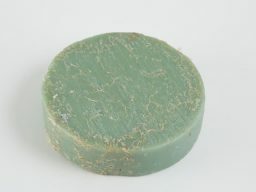 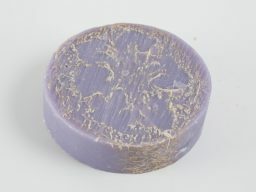 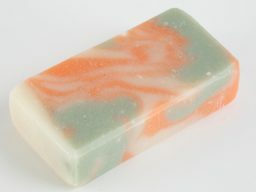 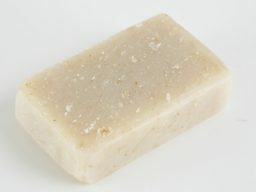 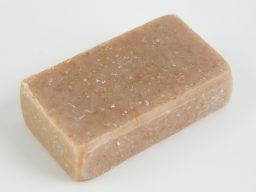 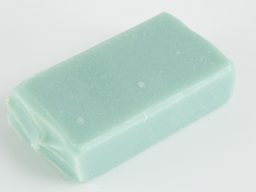 That’s why all Splendid Bee Soaps are dated, so you’ll know exactly when that particular bar is perfect to start using. 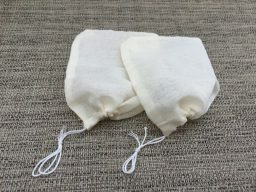 Each bar comes with a muslin pouch which works like a giant tea bag and is designed to get wet, so it can go right into the shower or bath with you! 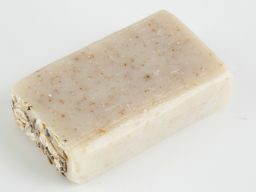 Use the muslin bag to hang/store your soap, to keep it from sticking to the tub, or to wash with.